This time last year I began planning a hen do for one of my childhood friends. 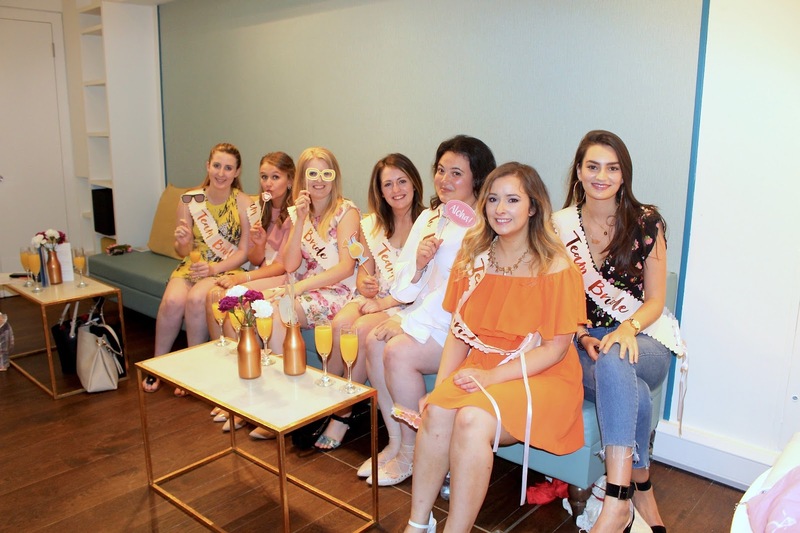 Having never been to a hen do before, let alone planned one, I was quite nervous about it and had no idea what needed to be done! With a limited budget, a scarily tight time-frame and lots of people I had never met before - in February it was time to kick start the planning for the July hen-do (yes, it really is best to start early!) 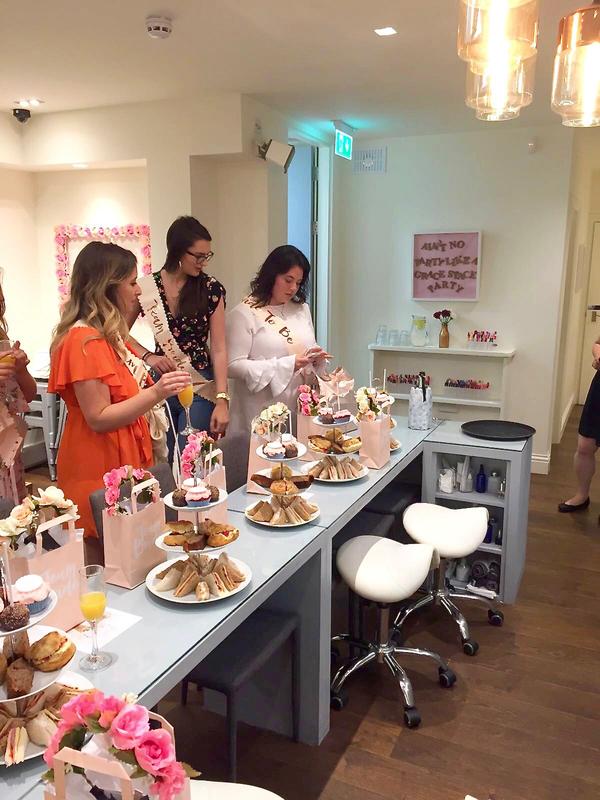 Today I'm sharing what I learnt and some tips for a London hen do as well as sharing what we got up to of course! The bride-to-be, Teresa, chose to only have a maid of honour (me!) and no bridesmaids at her wedding which felt like a lot more pressure but I equally loved being in control of everything myself. I brainstormed a few ideas and the planning commenced... here are some tips I learnt along the way! 1. Ask the bride about guests and dates. This is probably the first hurdle I came across, I think this could vary depending on how close you are to the bride and her friends but in this case, Teresa was in the year above me in school so our friends have differed throughout the years. We went to different universities and work in different industries so naturally we don't have too many mutual friends. I knew a handful of the guests she wanted to invite but others I had never met before! Getting a rough idea from the bride is imperative as you don't want to be missing anybody out nor end up inviting old friends or people who aren't invited to the wedding. Plus, if like me you don't know many of the guests you'll need to be given their contact details too to get in touch with them. When it came to picking a date, I was really unsure about whether to ask the bride for her opinion. I didn't want to ruin that element of surprise but equally needed to ensure she didn't double book her hen do date so we discussed a few options in advance and then decided on a day. I think as long as the bride doesn't know exactly what is happening it's good to discuss the date. 2. 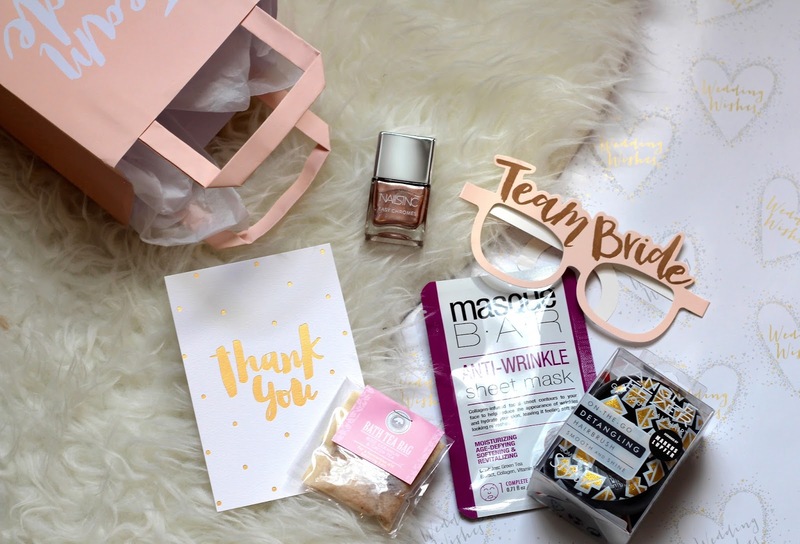 Get to know #TeamBride, discuss budgets and ideas. In order to stay on top of incoming out outgoing payments, creating a spreadsheet will seriously help you stay on top of the financial side of things. I guess this is dependent on whether you want to have invites, it's not necessarily essential to. I chose to create some invites online and used Vista Print to do so as it's pretty inexpensive and a lot of the designing is done for you, you simply need to make a few adjustments of text to share all the info. I sent out invitations after knowing who could come and what we were doing, it was mostly a formality and what I hope would be a nice keep-sake as we all knew the details from our group chat. As I was sending out invites, I decided to also pop in a Team Bride sash I had bought for each of us to wear on the day. 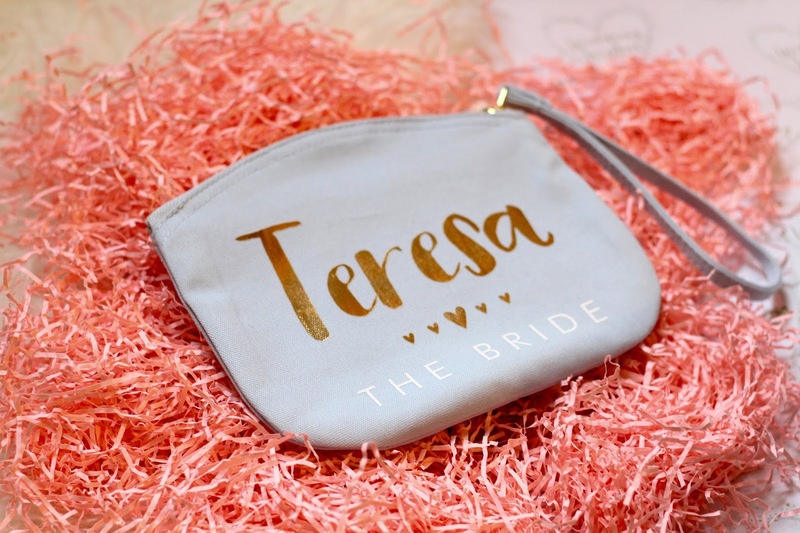 Teresa's hen do was a week before her wedding so I knew it couldn't be anything too crazy; not only that, the whole nightlife scene is not Teresa's thing so I wanted to do something different that I know she would like. Other aspects I needed to consider were the fact that some guests weren't London-based so therefore budgets and travel played a part too. I woke up to find it was raining which I really didn't want to happen! But of course, the show must go on and it did. The hen do started at 2:00 PM in London Grace, a nail bar in central London (they have a few different locations but the Soho one was the best option for us). London Grace has a variety of different spaces and a private room to host larger events which was perfect, it meant we could have some privacy. 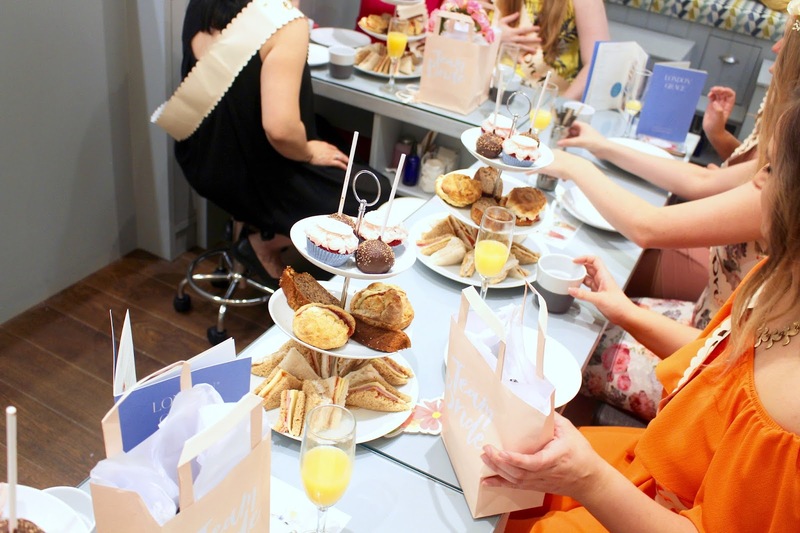 There were different packages available but I chose the afternoon tea hen do package, we had afternoon tea followed by either a manicure or pedicure (the girls chose which option they wanted to have) - the perfect pamper before the big day! We met at Lucky Voice half an hour later where we went through all the photos and videos each team had gathered, grabbed a drink or two and then went on to the next part of the evening: karaoke. Once we had sung to our heart's content, we went back to the bar for an hour or so. Some of the group had to leave and others stayed on, as we were already in central London we ended up going to a nearby club for a few hours to end the night. As I mentioned, I made Soho my area of choice. Taking into account travel options and just the thought of jumping on the tube to and from location(s) wasn't a viable option so instead I made sure each venue was nearby and tried to inject some fun by creating a scavenger hunt. It was such a great talking point and got everyone feeling a little more daring before an evening of karaoke! A lot of venues offer props and more for a fun-filled evening but I brought along a few things. 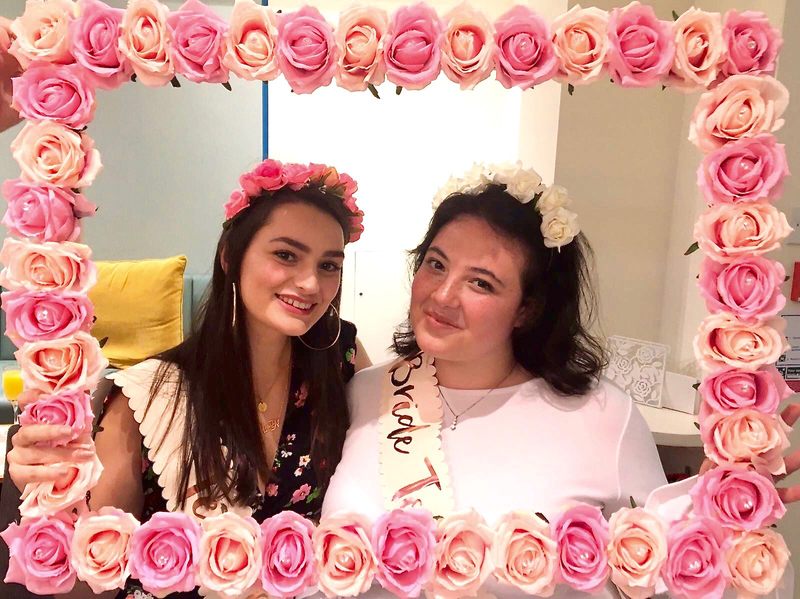 In conversation, Teresa had mentioned that she wanted flower crowns at her hen do and so I bought some inexpensive ones for us all from Forever 21 and a more special one for the bride. 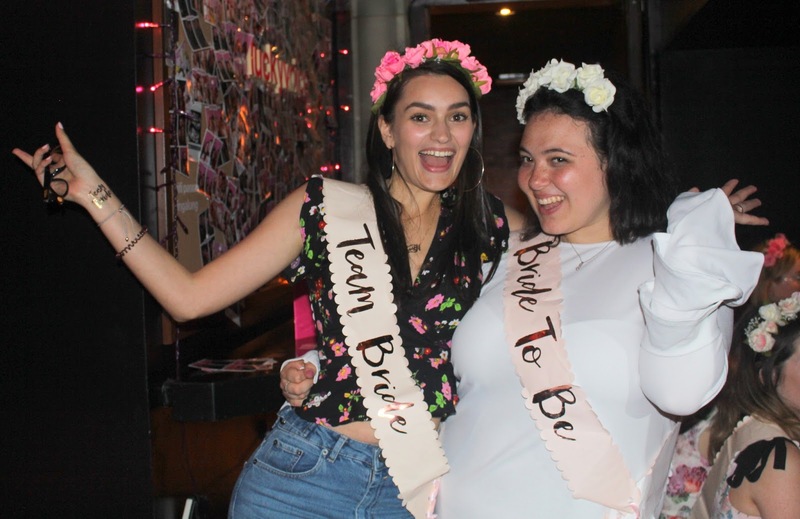 I also bought some sashes that said Team Bride (which I sent to all the guests alongside their invitations and I did the same with Teresa's bride to be sash) I basically bought everything from the hen do collection by Ginger Ray. Food was partially the reason I decided to start the hen do in the afternoon because eating out can be seriously pricey, particularly in the heart of London! We always had nibbles, starting off with afternoon tea at London Grace and then followed by lots of pizzas whilst we were at karaoke! 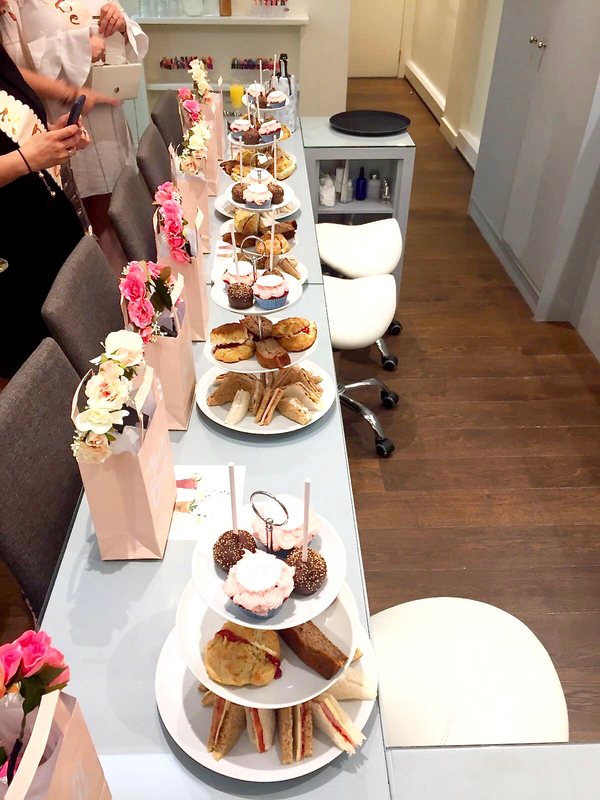 When planning the hen do, we had decided that we would pay for our treatments at London Grace separately (meaning this wasn't included in the final budget) as it gave us more freedom to choose which treatment to go for. I chose to have a shellac manicure whilst some others went for polish only so the price differed giving us more freedom to choose what we wanted. Despite having prosecco and food at every venue, some girls chose to buy cocktails whilst at the bar and we also ended up going to a club which involved extra costs too. So just bare in mind that you may spend money on a few extras on the day! 9. Something for the bride. I wanted Teresa to take away something from all of us so I took along my polaroid camera and bought a small scrap book for us all to leave the bride a message. I tried to make this as secretive as possible (pretty hard when we were in the same rooms most of the time) and gifted the completed book to Teresa on her wedding day as a pre-wedding gift from all of us who had attended. 10. Creating goodie bags for #TeamBride and Bride-to-be. I also gifted Teresa a couple of items that she could use on her wedding day. Including a personalised makeup bag (in blue which was her colour scheme for her wedding day) from Rock On Ruby. 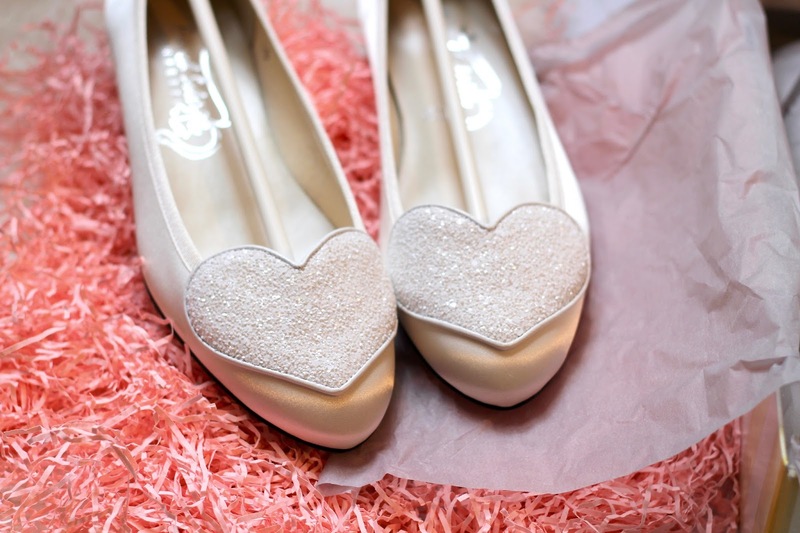 As well as some gorgeous flat satin and glitter shoes from French Sole which are part of their love heart range and simply stunning. I've just had a look online and spotted a gorgeous new version with I do on each shoe which is so lovely! 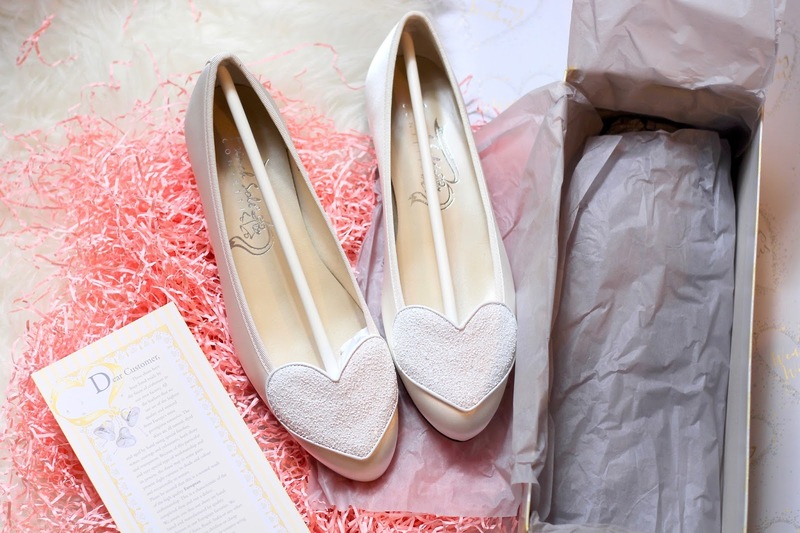 These came in handy on her wedding day and I'm sure are a pair of shoes that she will treasure forever. And I think I've covered everything (at least that I can think of!) As always, if you have any questions then feel free to ask and I will get back to you. 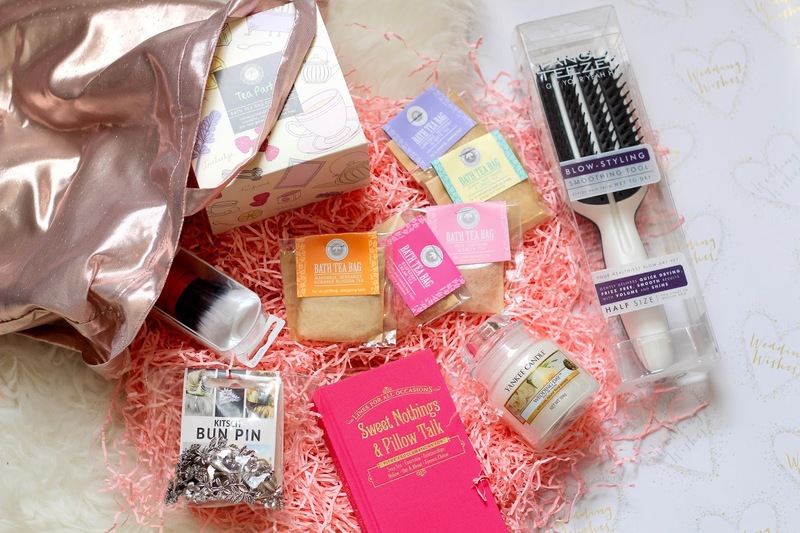 If you're planning a hen do then I would love to hear what you're thinking of doing!